I love using counting mats in our classroom! 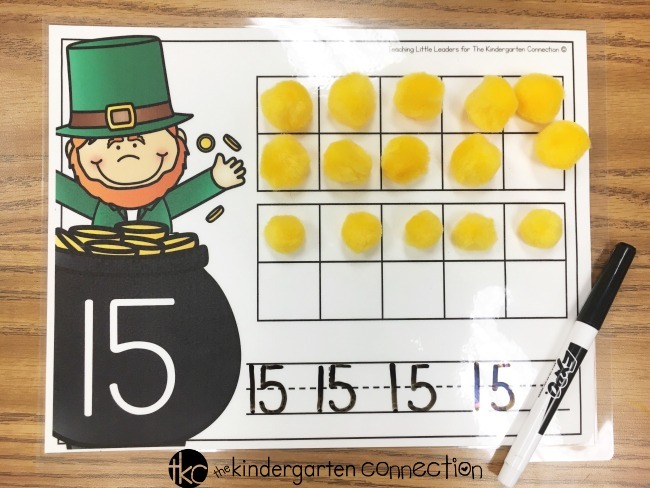 They’re a simple, engaging way for students to practice their number sense. 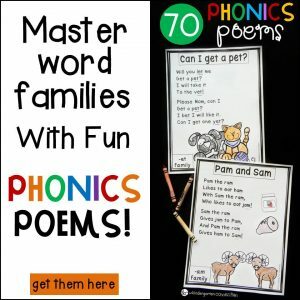 I find them especially helpful for practicing those tricky teen numbers. 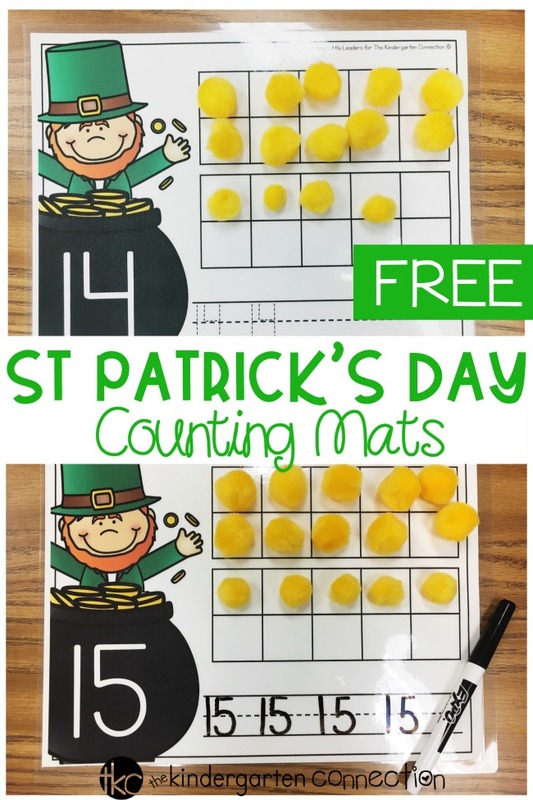 Today I’m sharing how to use these free St. Patrick’s Day Teen Number Counting Mats for numbers 11-20. 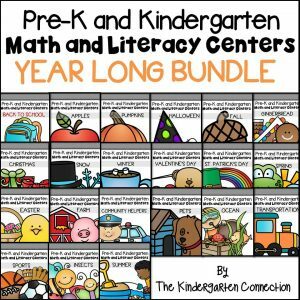 This activity will work great for whole group practice or as a hands-on math center. If you want to stick with the pot of gold theme, you could use only yellow counters. You could also use a multitude of colors and go with a rainbow theme for this holiday instead! The counting mats are simple to prep and easy to use. I print the mats and laminate for durability. Next, I choose my counters and set those out in a bin with the counting mats. It’s that easy! Students will choose a mat and read that number. I like to have a number line available for activities like this. Number lines are a great resource for children who are still learning to identify their numbers. Students start from 1 and move down the number line, counting aloud, until they reach the number that matches the one on their counting mat. After reading the number, students move the counters to the counting mat, saying each number as they place the object down. Each counting mat has 2 ten frames on it. This will help your students learn to organize as they count, as well as learn to visualize what that number looks like when it’s represented with objects. 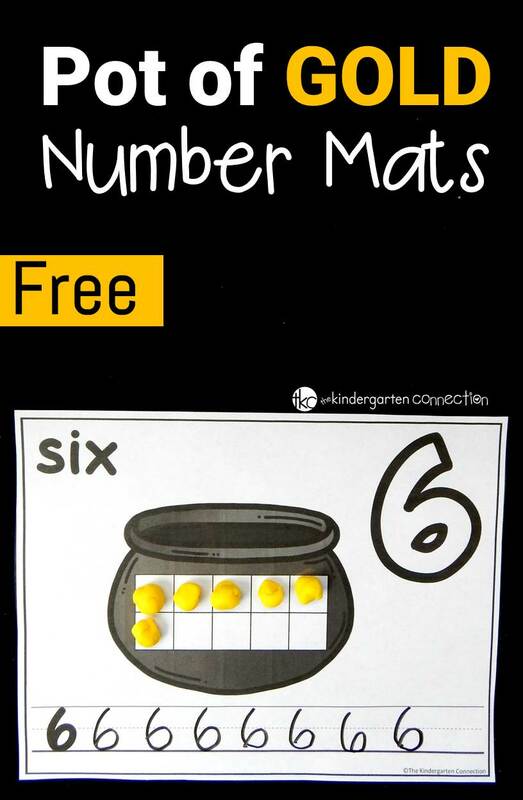 Finally, students can practice writing the number on the bottom of the counting mat. 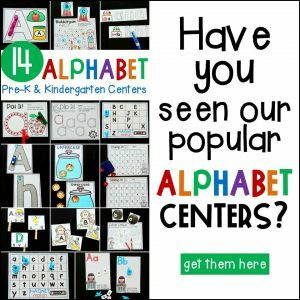 The number is written twice in a dotted font to allow students who need it extra support before writing independently on the rest of the line. My personal favorite way to use counting mats is by tying in fine motor practice. 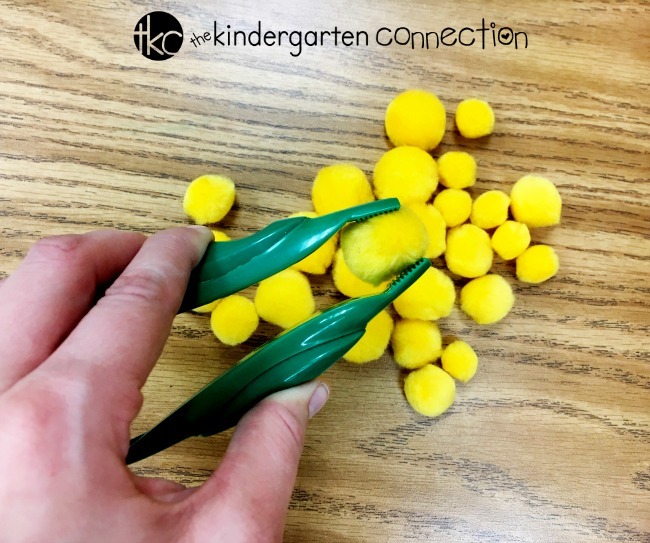 That’s why for this activity, I have yellow pom poms to use as “gold” counters and tweezers that help my kids build their hand strength. This task is trickier than it looks for those little hands! It makes a great activity for building hand muscles in children that are developing their fine motor skills. I hope that you and your students enjoy these St. Patrick’s Day Teen Number Counting Mats! 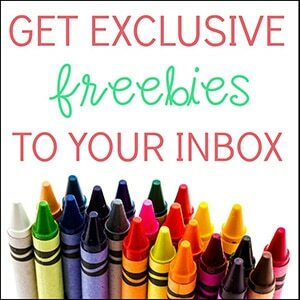 You can grab your free download by clicking the yellow button below. 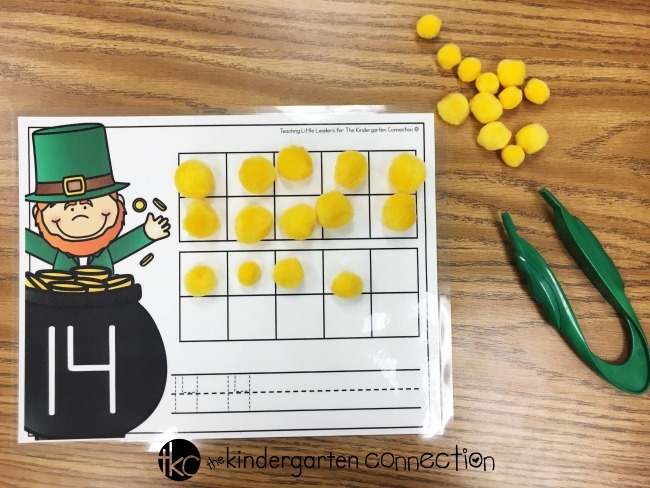 Then, work on numbers 1-10 too with our Pot of Gold Counting Mats! This is amazing and is exactly what I have been looking for. I love that it incorporates so many skills at once! Do you have something like this for Easter/ April? We teach 16-20 after Spring Break and would love to have this as a workstation. Thank you!